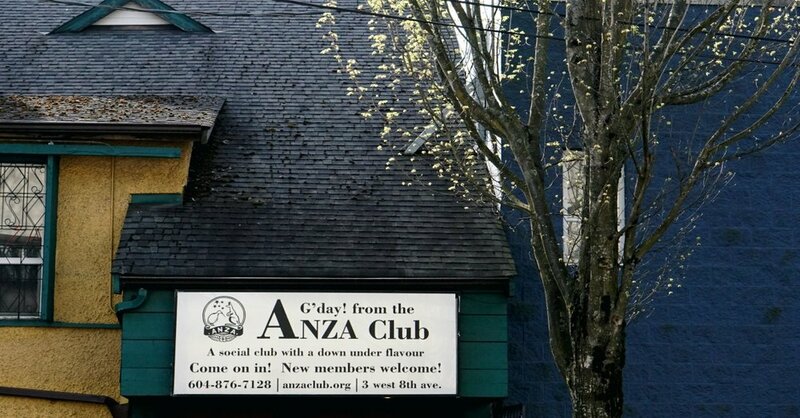 Nestled in the heart of Mount Pleasant, the ANZA is Vancouver's favourite, one of a kind Social Club. Our main floor hall is a rental facility that is home to such long running events as Africa Dance, Celluloid Social Club and Pacific Bluegrass Heritage Jam & Concerts. We welcome all kinds of events, from weddings to birthdays, theatre productions to live music, book launches to DJ events. Check out the Rental Hall page for complete details. Our downstairs members lounge features a pool table, games and dart boards and is a sweet spot to catch your favourite game or cozy up with friends by the fireplace. We also host several weekly and monthly events in the lounge, such as Open Dex, Nautilus and Dart league! Memberships are only $10/year and everyone is welcome. Check out our events calendar to see what's going on, and give us a call if you're interested in renting the hall!